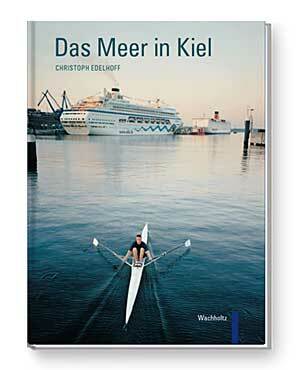 Das Buch ist nicht mehr über der Buchhandel erhältlich. Die letzten Exemplare können Sie direkt bei mir bestellen. Bitte nehmen Sie mit mir kontakt auf. 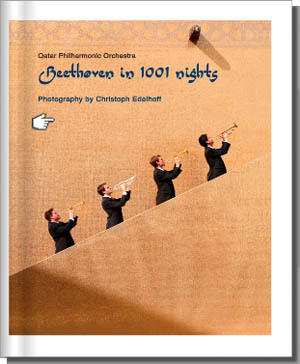 The photographer Christoph Edelhoff presents his portraits photos from the musicians of the Qatar Philharmonic Orchestra in this book. Also there are great architecture pictures from Doha in this new book. Designed 2011 in Germany. The emirate of Qatar will opens to the world and 2008 founded one of the probably the world‘s most advanced orchestra. 101 young musicians from 31 nations emigrated to teach the children of the desert classical music and contribute to Arab culture. The 101 musican were enticed to Qatar as part of the great adventure that is the Qatar Philharmonic Orchestra – one of the boldest and most successful experiments in recent orchestral history. In June 2007, Kurt Meister, formerly general manager of the Bavarian State Opera was asked to undertake an intriguing mission – build an orchestra from scratch in the tiny desert nation of Qatar.